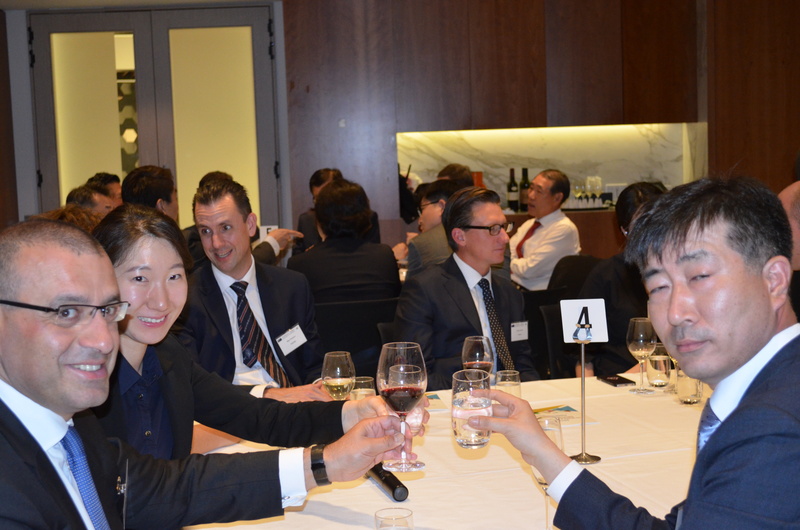 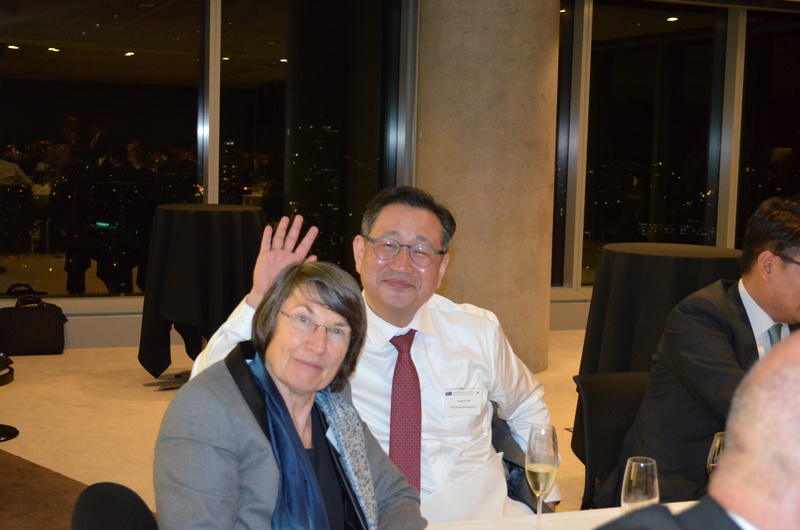 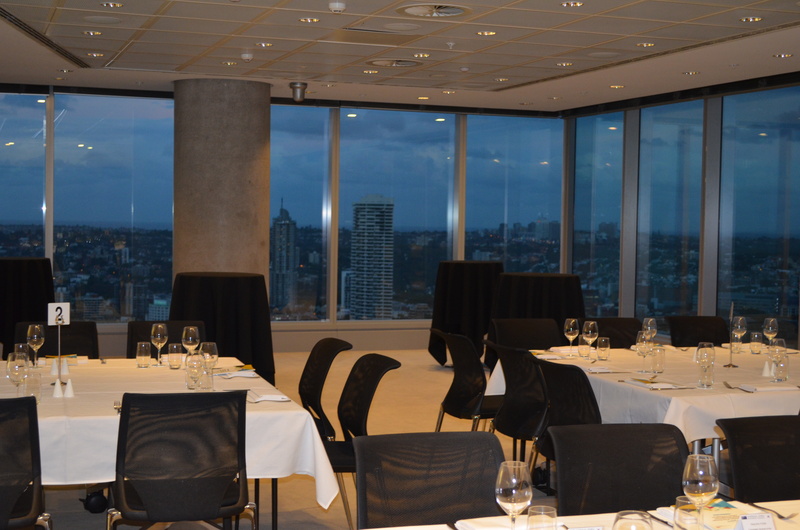 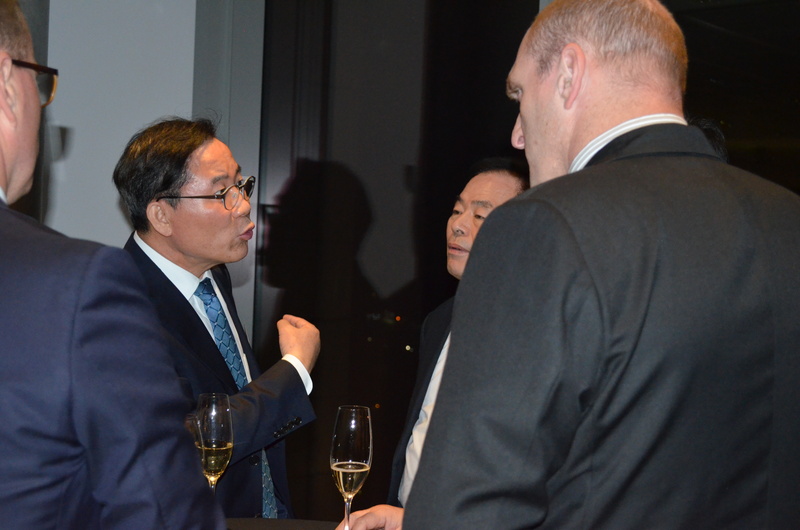 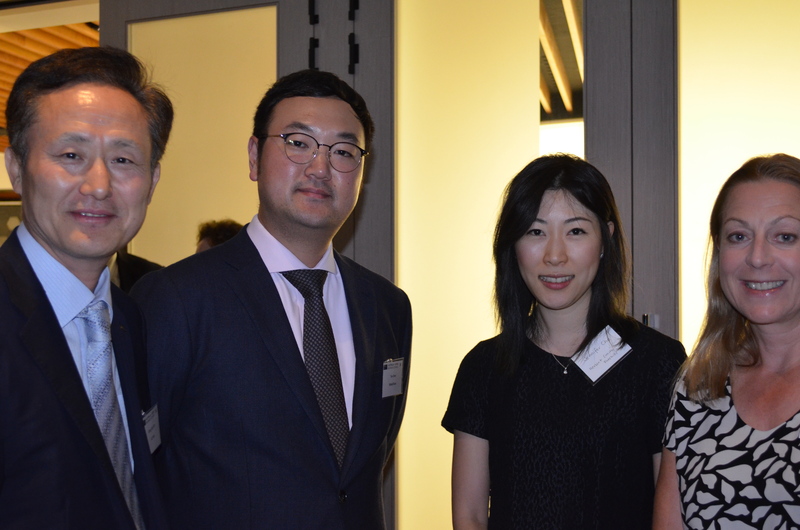 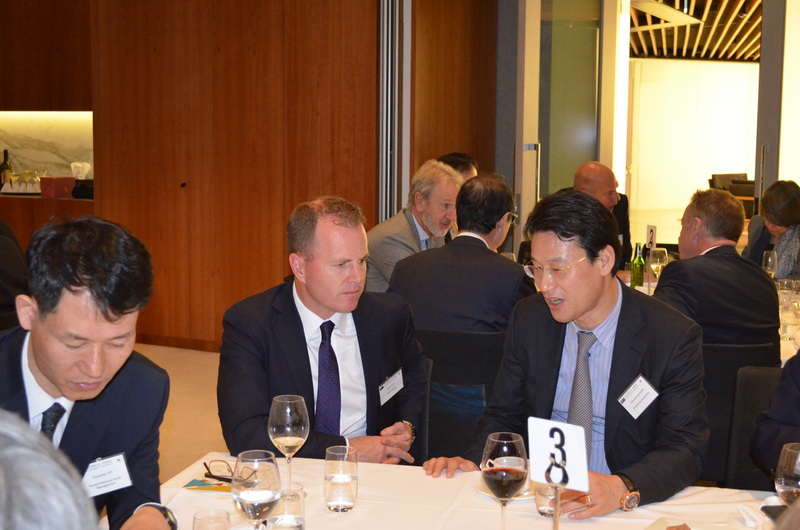 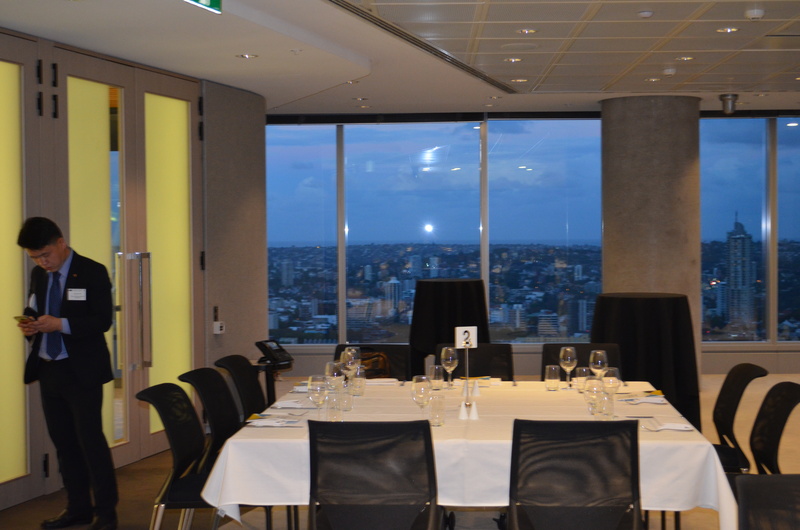 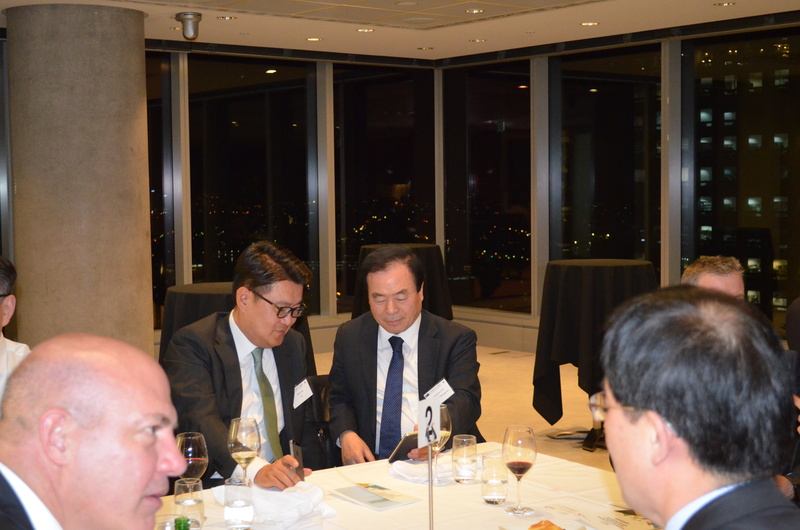 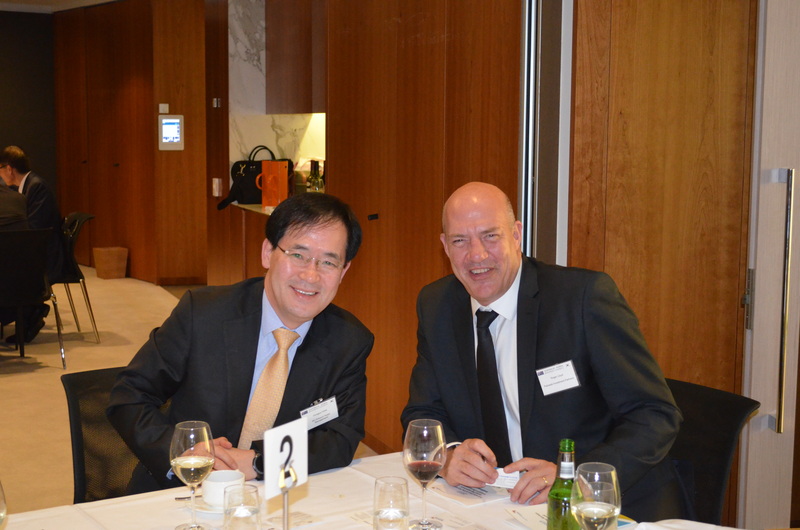 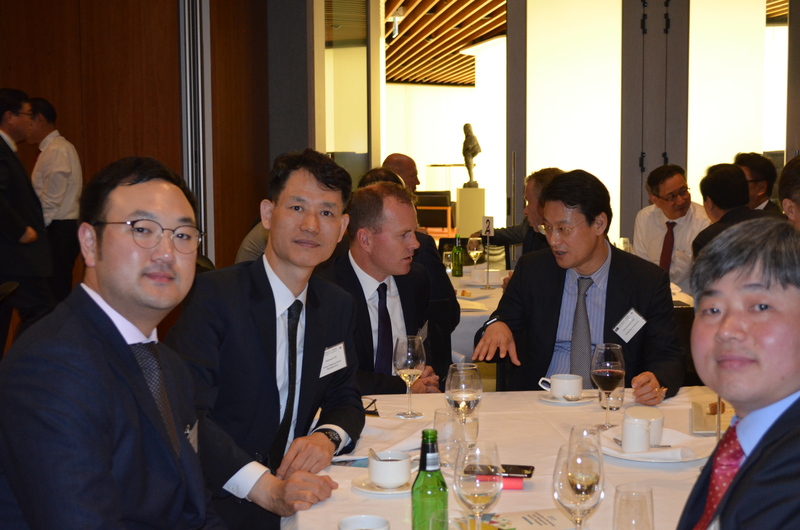 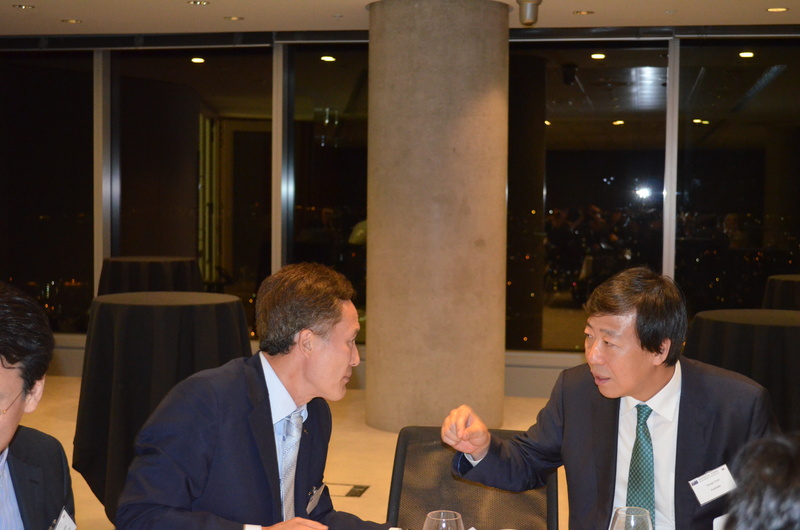 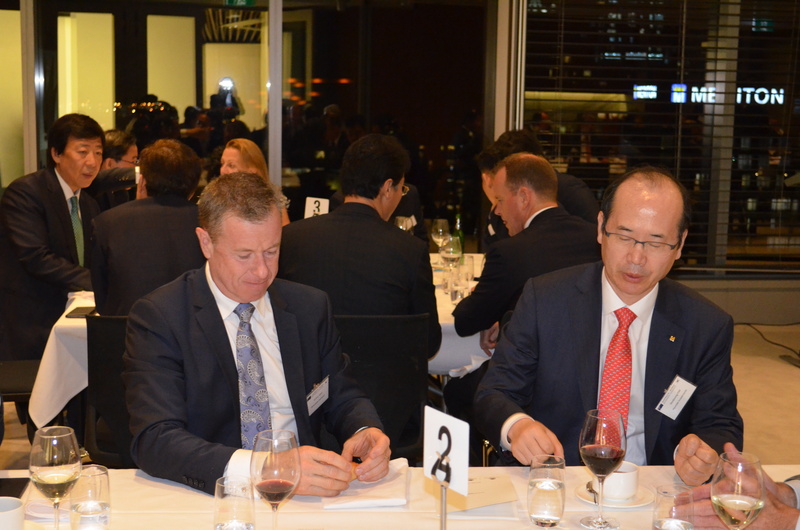 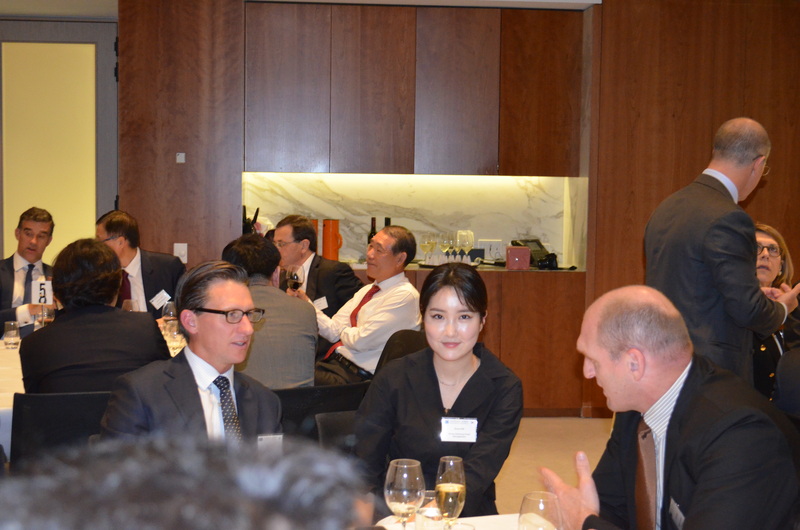 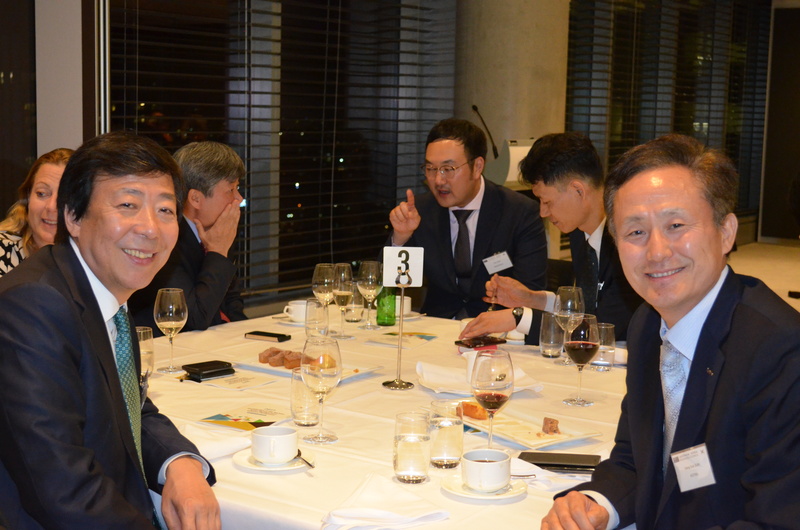 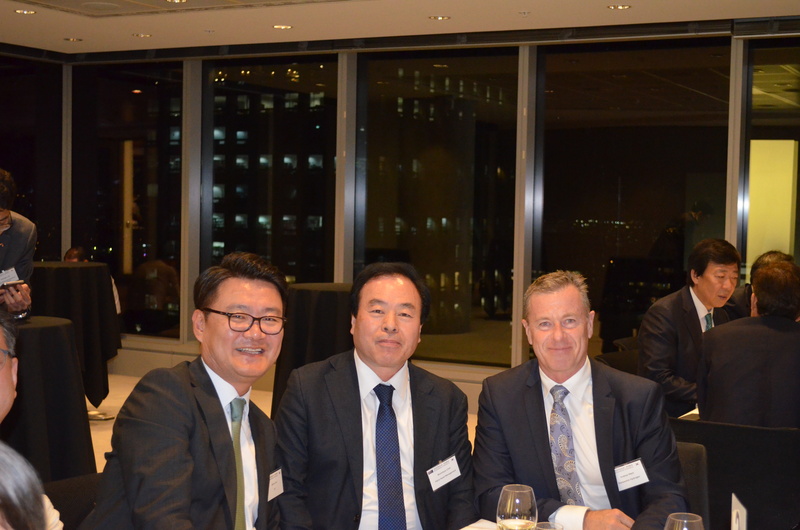 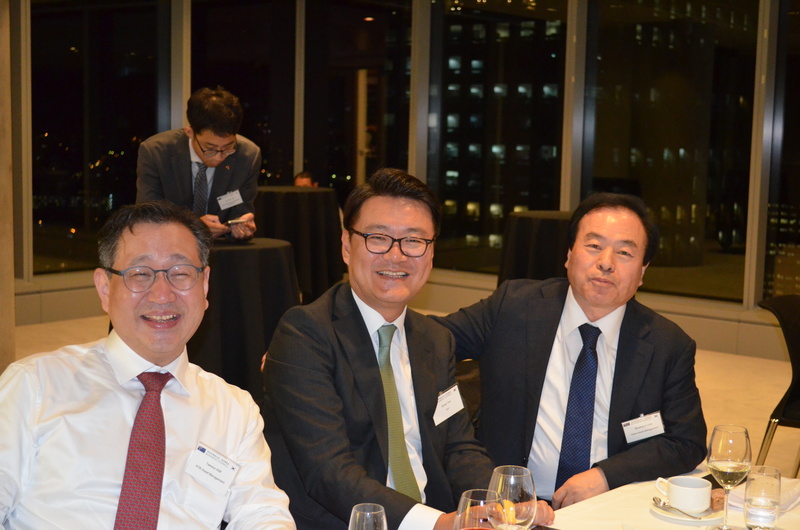 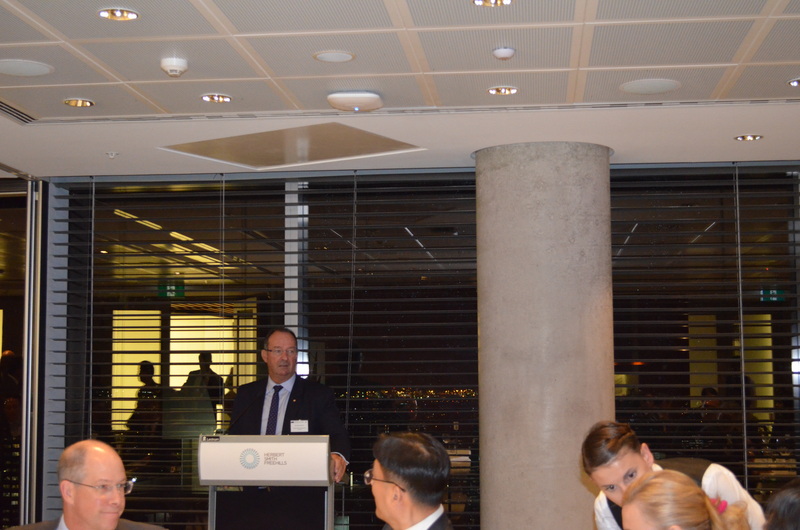 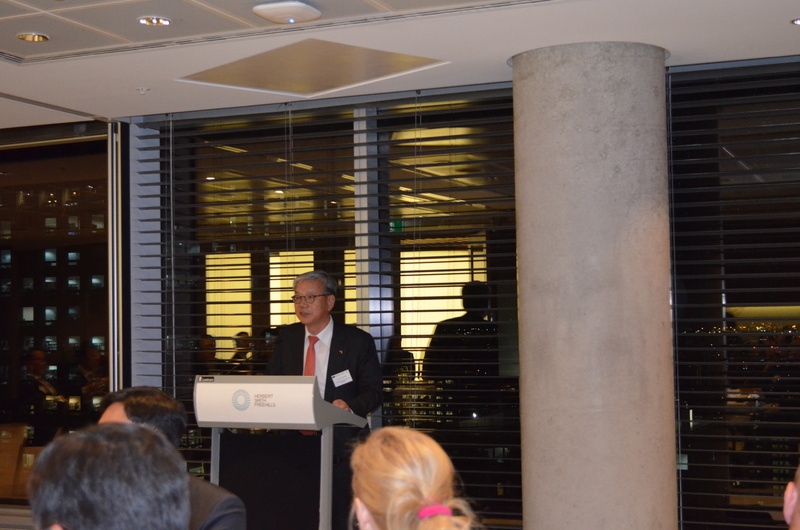 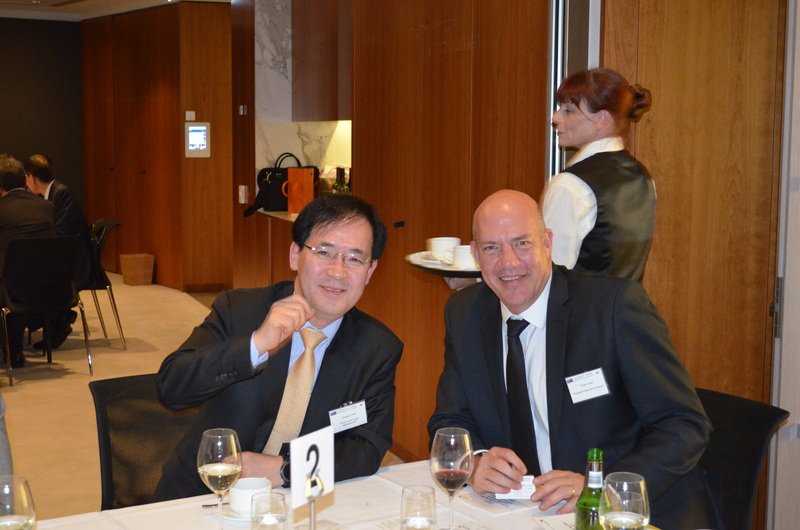 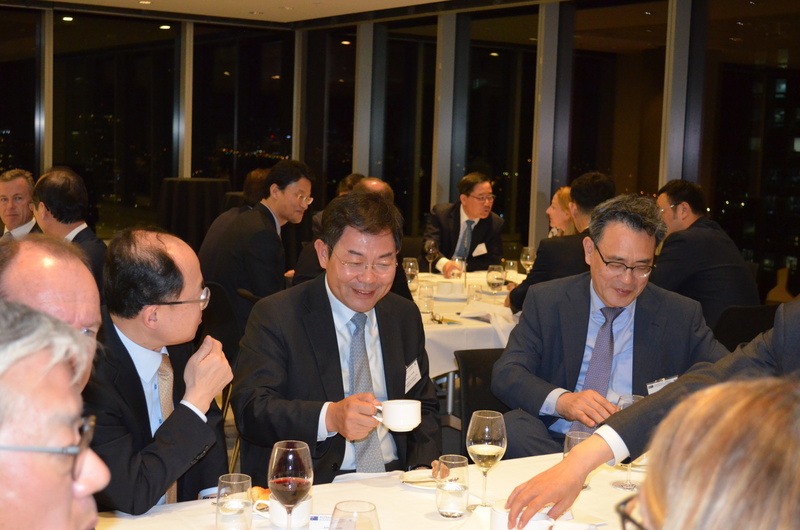 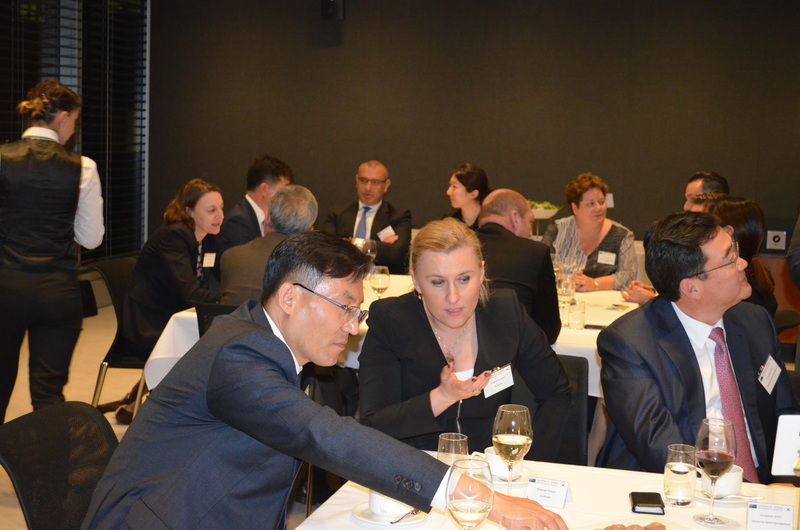 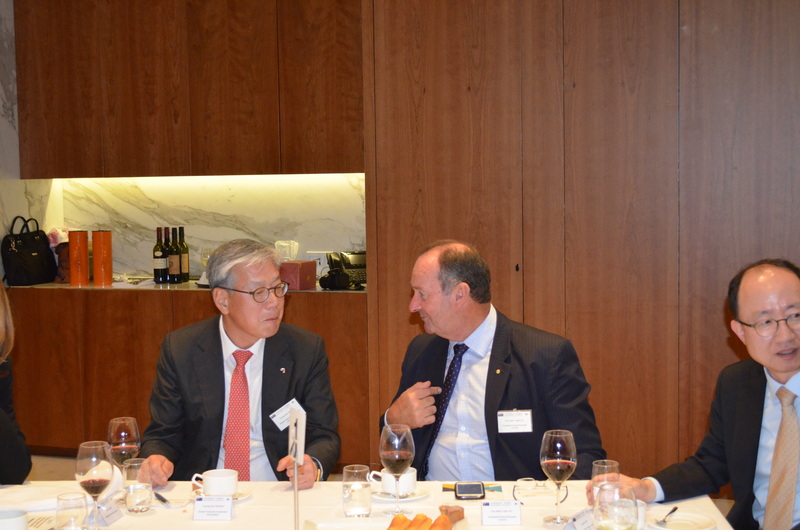 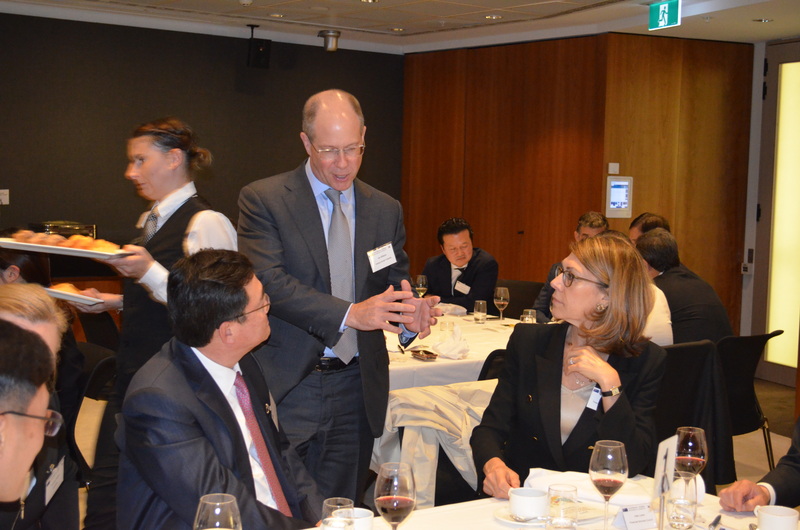 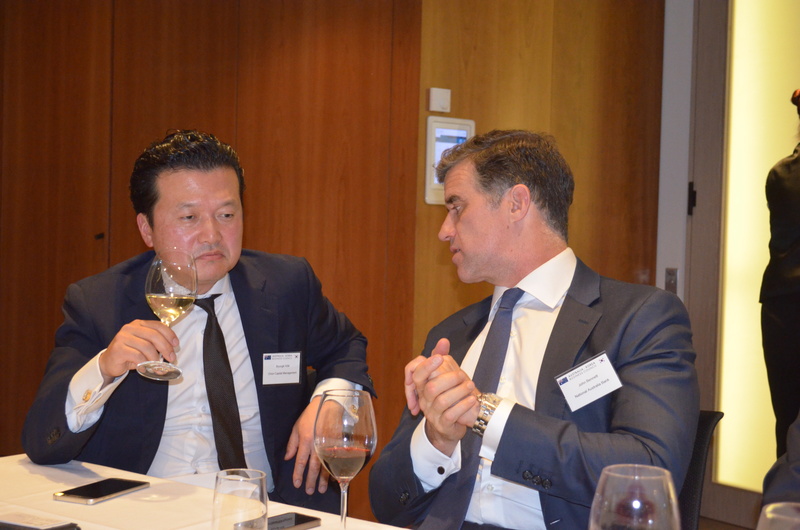 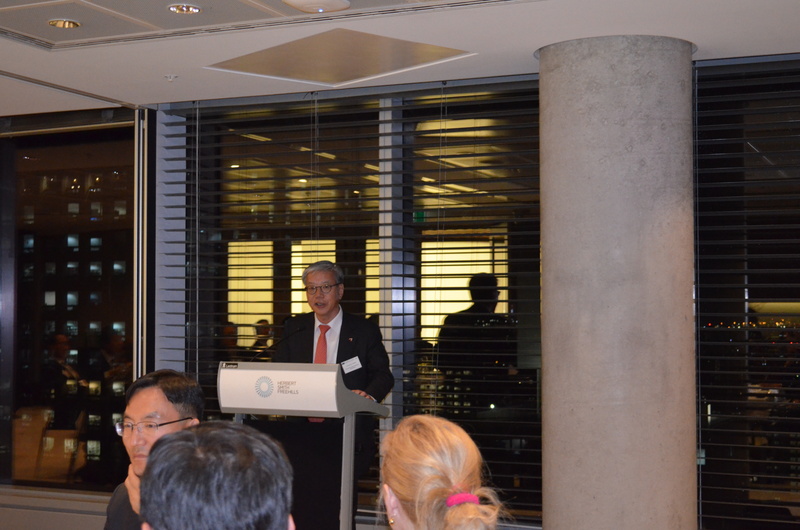 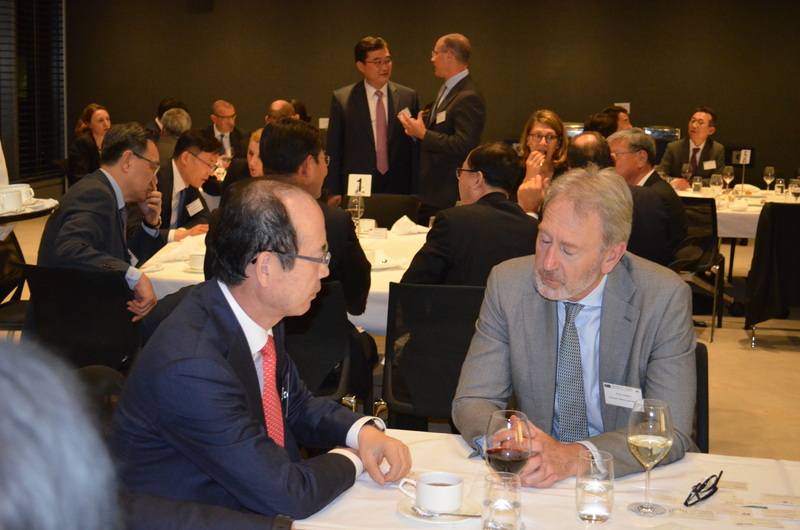 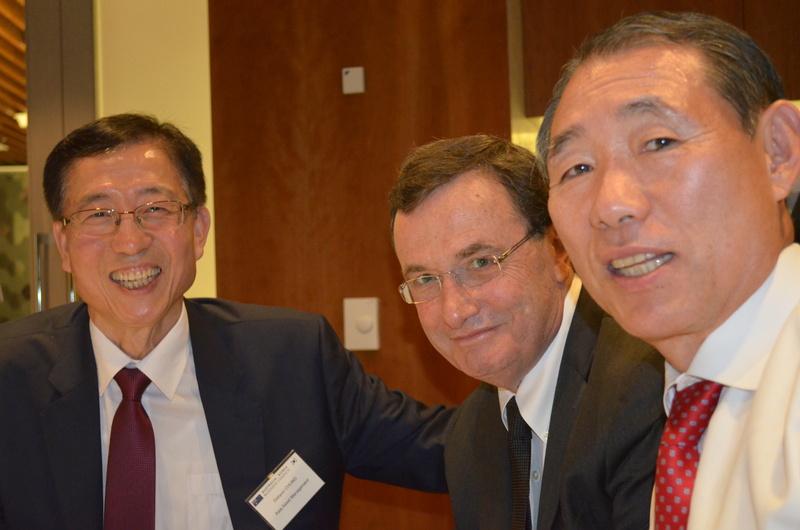 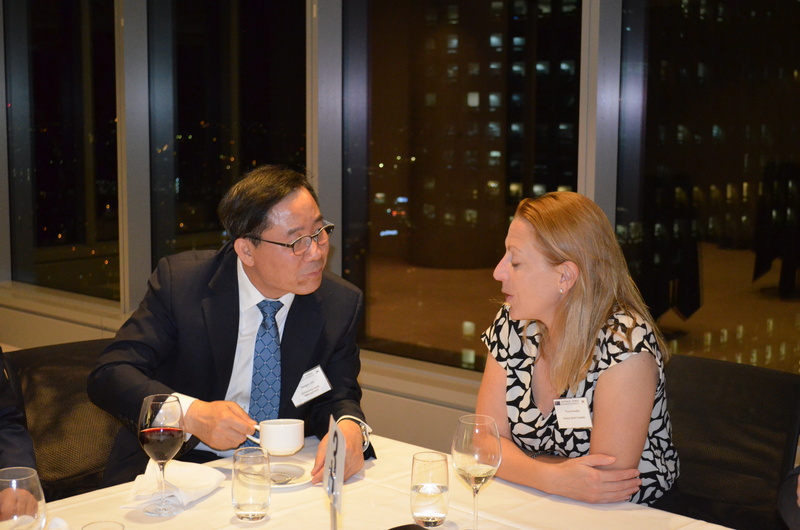 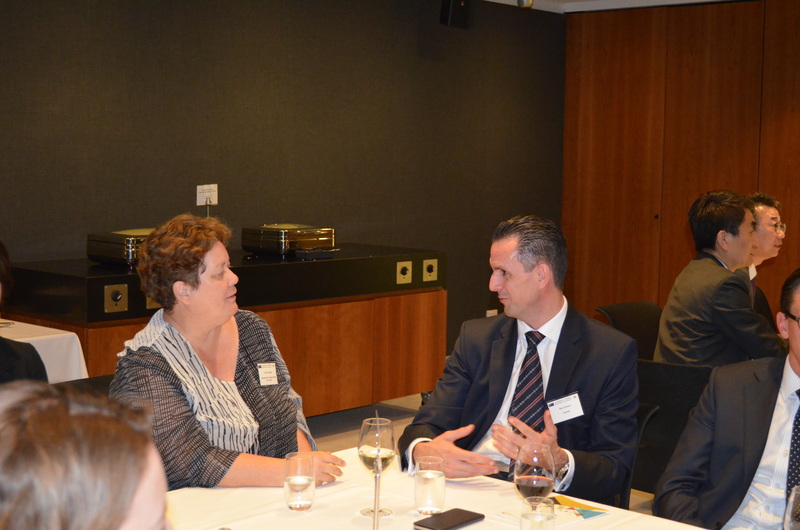 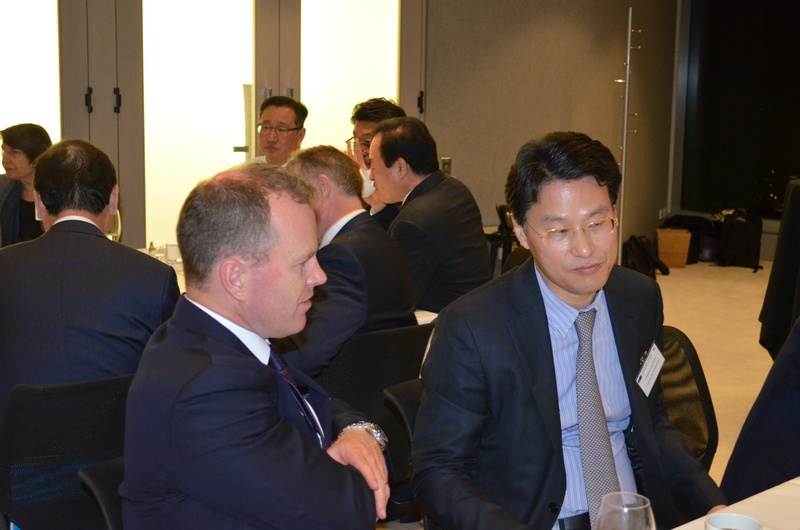 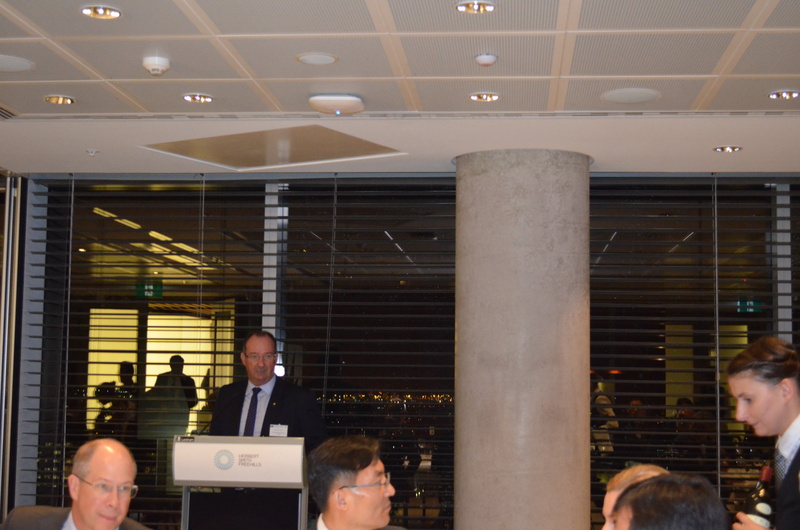 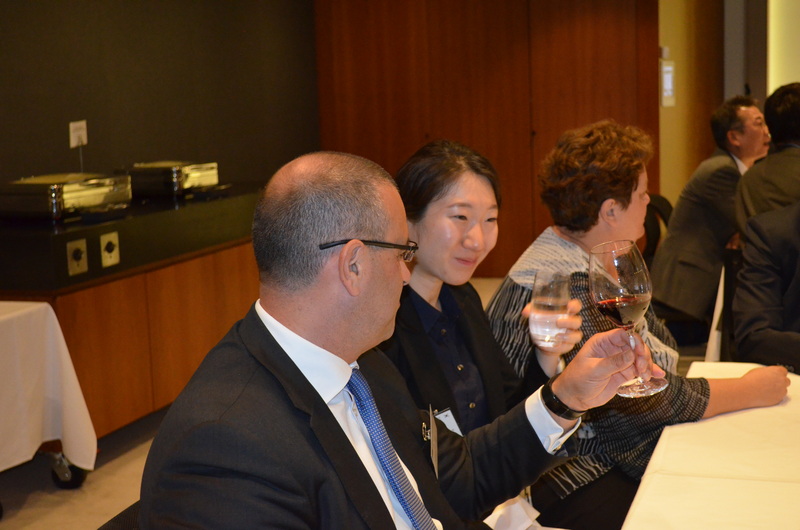 On Monday 3 April, the Australia-Korea Business Council hosted a dinner at Herbert Smith Freehills for the KOFIA delegation visiting Sydney. 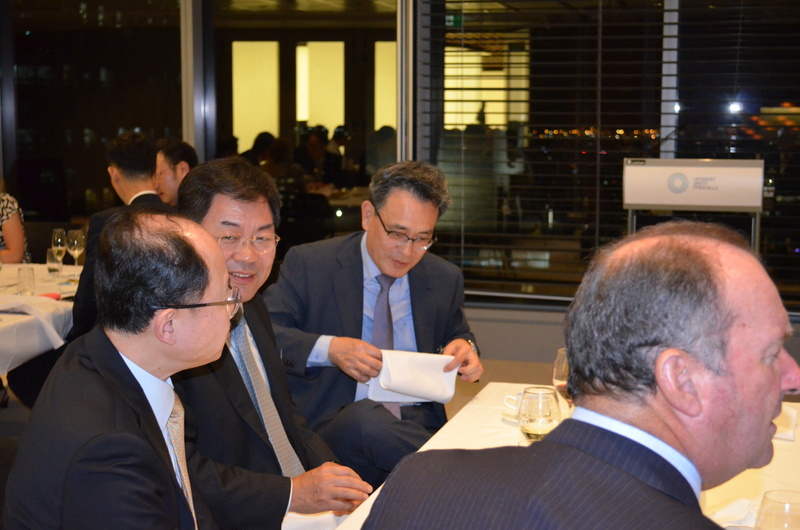 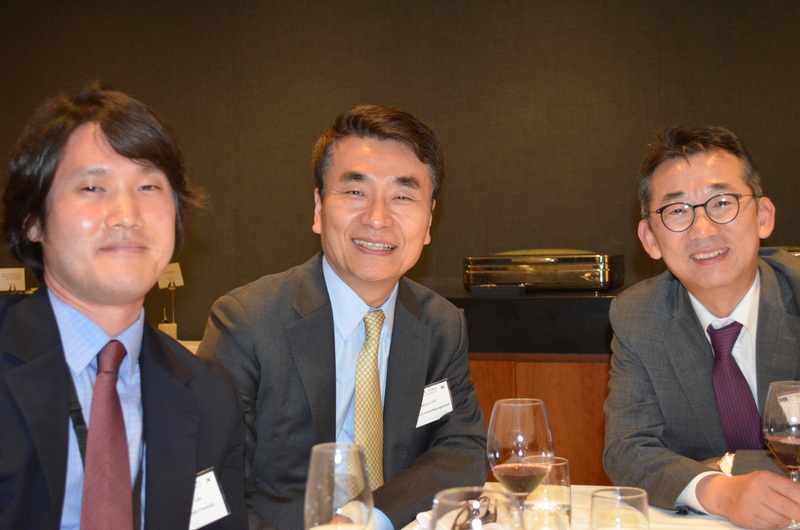 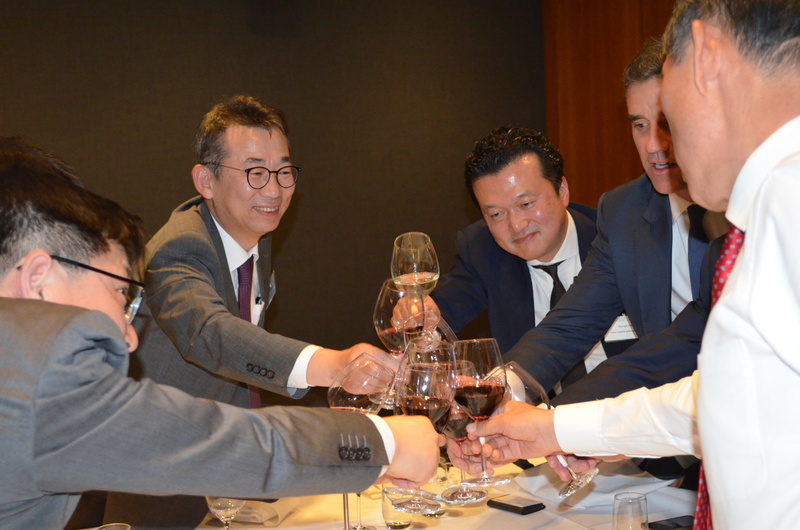 The dinner was attended by 23 CEOs from Korea’s asset management companies, KOFIA staff and 25 AKBC members. 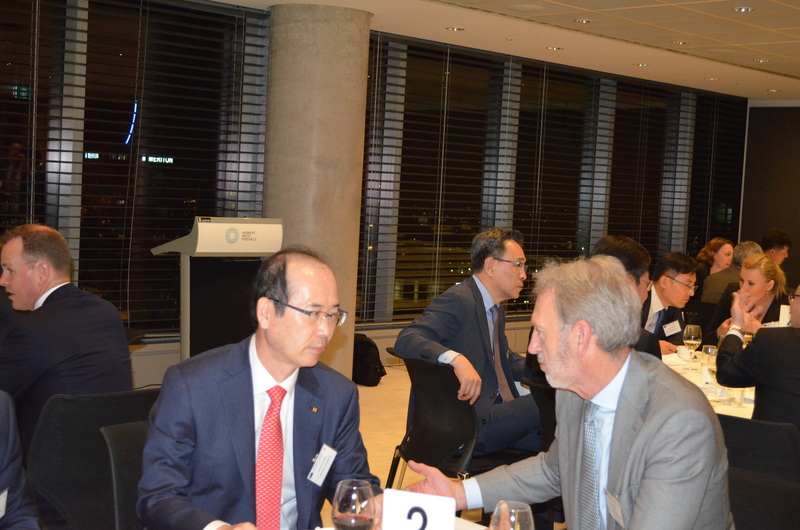 The purpose of the KOFIA delegation’s visit to Australia was to review the current status of the Australian asset management industry and explore potential investment opportunities. 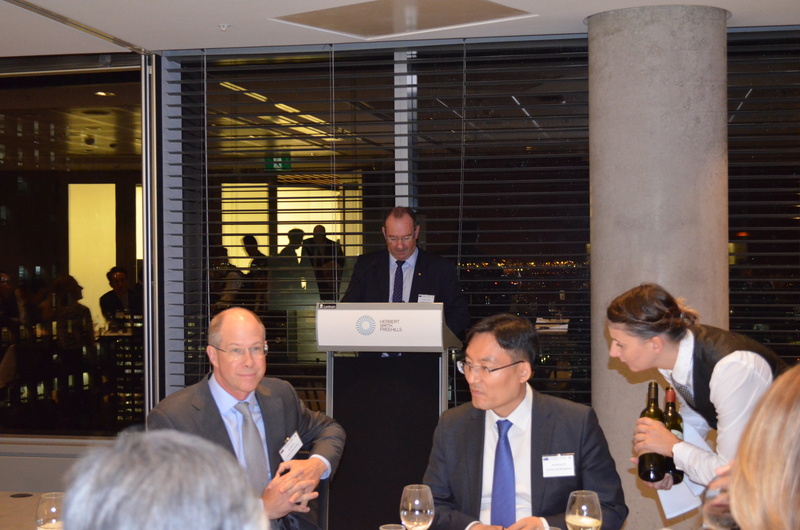 Welcome speeches were delivered by Hon Mark Vaile AO, Chairman of the AKBC, Ian Williams, Deputy Chairman of the AKBC and Partner at Herbert Smith Freehills, and Liz Johnston the Executive Director of the AKBC. 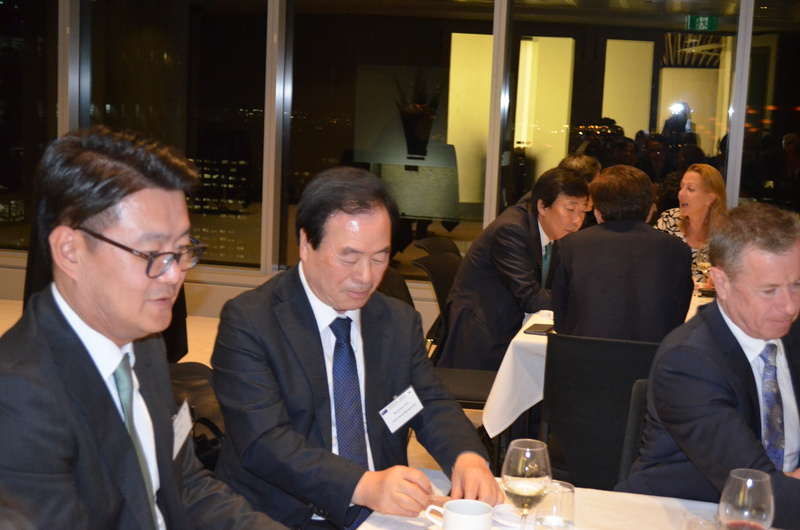 A toast was then given by the KOFIA Chairman, Y.K. 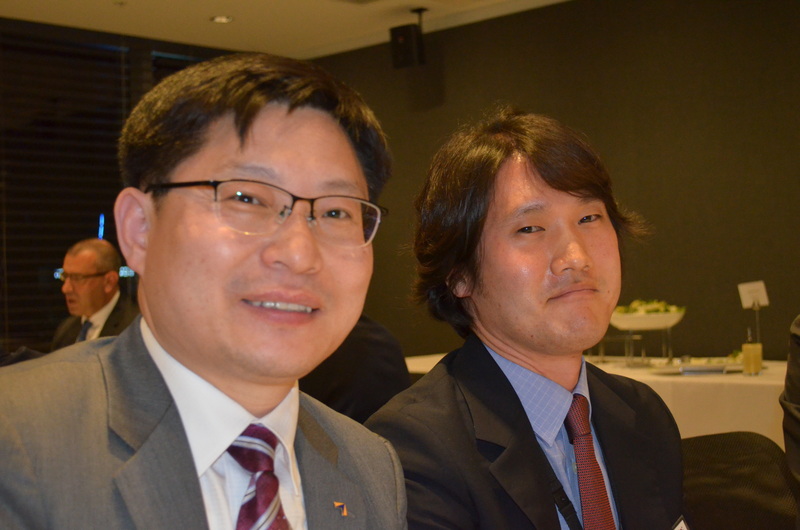 Hwang. 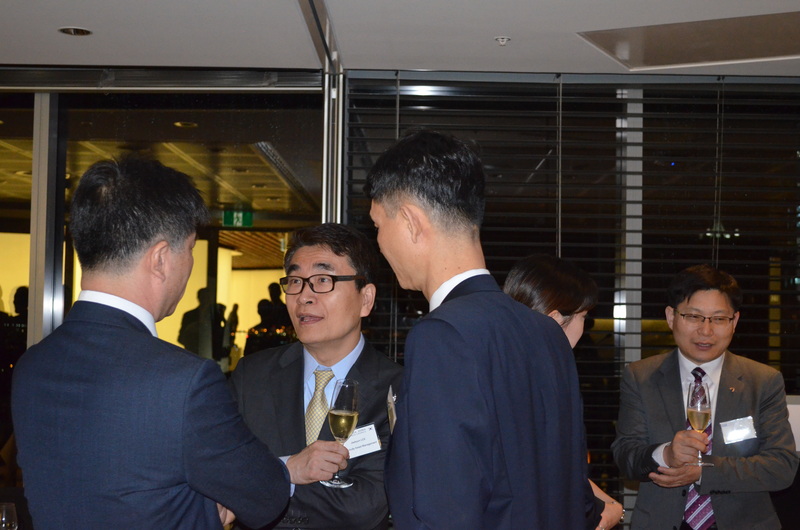 The following Korean companies formed the KOFIA delegation: Samsung Asset Management, Hyundai Asset Management, Kiwoom Asset Management, Shinhan BNP Paribas Asset Management, NH-Amundi Asset Management, KTB Asset Management, Hyundai Investments, Hana Asset Management, Korea Deasung Asset Management, Eastspring Investments, Shinyoung Asset Management, How Asset Management, Idea Bridge Asset Management, Macquarie Investment Management, DGB Asset Management, Asia Asset Management, Orion Capital Management, Samchully Asset Management and FnGuide.